Exclusive IRON MAX features include a special seat, aluminium footrests, cool graphics and a chrome speedo ring. 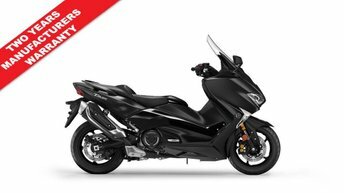 This unique package is completed with a sleek Sword Grey colour option and smoked tail light. Its dual LED headlights, aerodynamic bodywork and boomerang side motifs are pure, undiluted MAX. 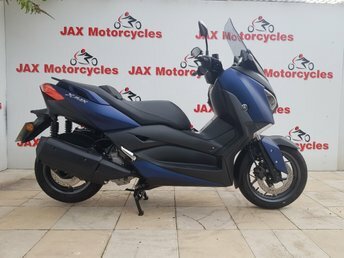 Driven by a powerful and economical 300cc engine and equipped with motorcycle-style forks and advanced electronics, the XMAX 300 IRON MAX stands for cutting-edge dynamics and unique sharpness. Smooth as silk twin cylinder engine. UK delivery from £130 plus VAT. Delivery anywhere in UK from £130.80 plus VAT. 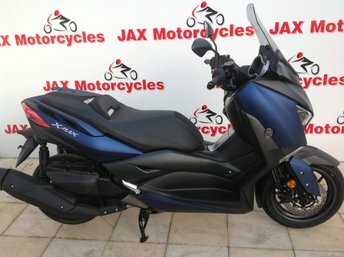 Discover the full range of used Yamaha motorbikes for sale in York at Jax Motorcycles. 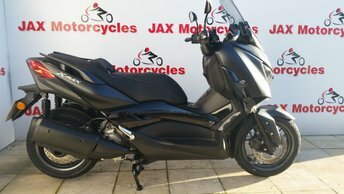 We're a leading supplier of quality second-hand motorcycles, with models to suit every budget and lifestyle. 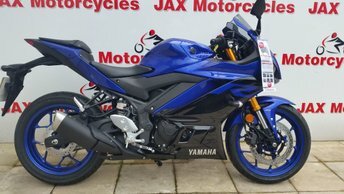 If you're looking for your very first bike or perhaps are considering an upgrade, our friendly team will help you find the perfect used Yamaha. 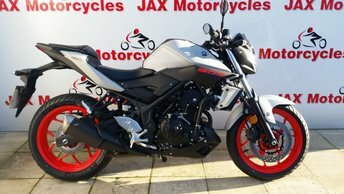 Our stock regularly includes motorbikes from across the manufacturer's range, including urban street bikes, touring models and race-inspired supersport motorcycles. View our latest selection here on the website and don't hesitate to contact a member of the team if you require any assistance. 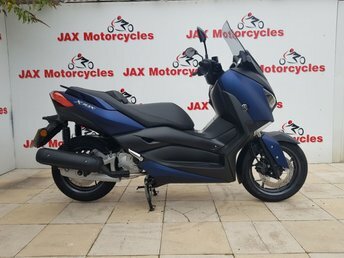 Alternatively, take a closer look and arrange to test ride one of our used Yamaha motorbikes by paying us a visit in person.